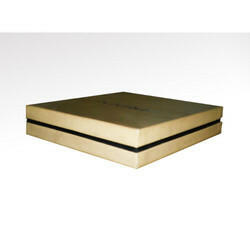 Luxury Rigid Boxes can change the look and feel of the product being packed inside. 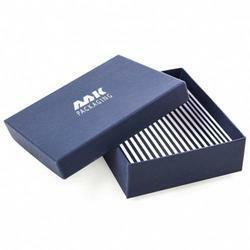 This rigid boxes are designed and made for our customers all across the globe. we provide high strength and finished rigid board boxes. they are extensively used in mobile phones pakchaging, artificial jewelry packing and many fancy products. Note - Price may vary from Rs.20/- to Rs.200/- depending upon the specifications. Attaining a supreme level of customers' satisfaction, we have positioned ourselves as renowned providers of an exceptional quality of Hard Box. Automated Rigid box production for Mobile boxes, sweet boxes, gift boxes, wallet and accessories boxes and various luxury boxes.